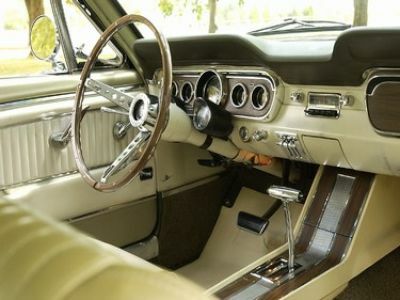 The interior is white w/ivy gold appt. 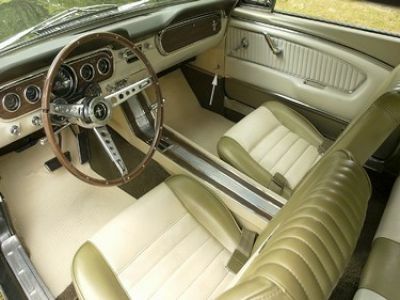 pony interior. 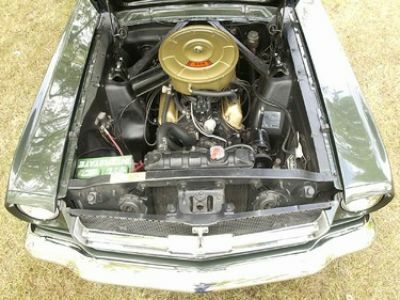 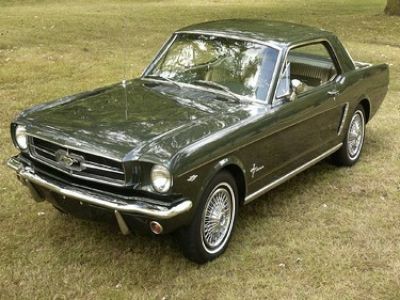 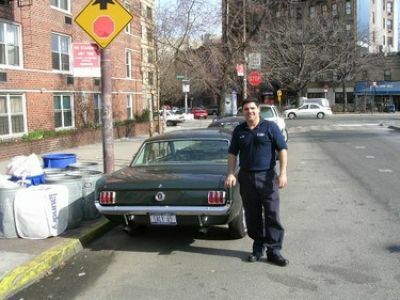 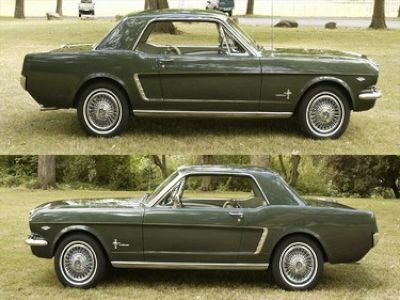 Currently the car is going to be re-painted the same Ivy Green and the interior has two minor rips in the rear.